A Spanish judge has issued international arrest warrants for two of the intruders who forced their way into North Korea’s embassy in Spain in February, Reuters reported on Wednesday, citing a Spanish judicial source. The suspects are currently believed to have reached the United States. The attack on the North Korean embassy in Madrid, which happened on February 22, was led by a Mexican citizen residing in the United States, it was revealed on Tuesday. Adrian Hong Chang, who led a group of 10 people during the assault on the embassy, is believed to have informed the FBI in New York and provided them with audiovisual material he obtained during the embassy robbery, the Spanish news agency EFE reported. One of the international arrest warrants has been issued for Hong Chang. The other is for Sam Ryu, who is a U.S. citizen of Korean descent and is also a suspect in the embassy intrusion case. On February 22, Hong Chang entered the North Korean embassy and asked to see a manager to whom he had previously lied about being a businessman, according to the details of the investigation, the secrecy of which was lifted on Tuesday by Judge José María de la Mata, of the Spanish National Court. The court file includes the list of the crimes committed by Hong Chang and his gang: threats, burglary, illegal detentions, document forgery, injuries and theft committed by a criminal organisation. The document also notes that the intruders in the embassy were citizens of Mexico, the United States and South Korea. 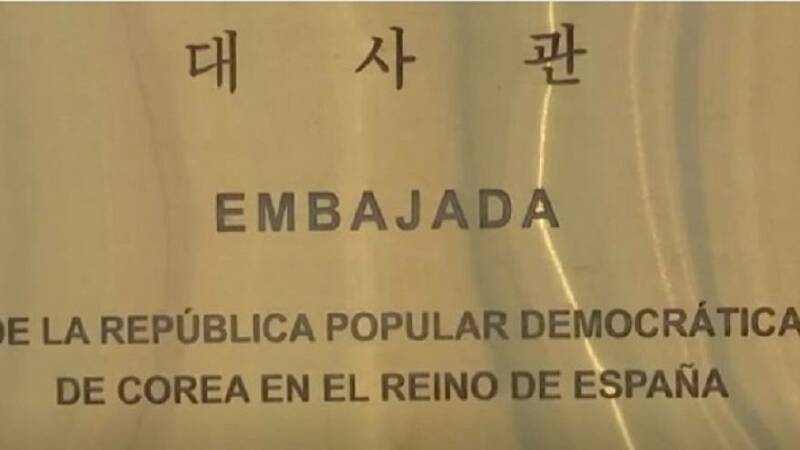 Spain's Interior Ministry had previously said police were investigating an incident at the embassy, but gave no details except to say that a North Korean citizen had been injured and that no one had filed a complaint, Reuters reported.